The problem of child-care had troubled many a well-meaning Gozitan since Saint Julian Hospital closed down in 1864. In 1935, Ġużeppa Debono, a spinster from Rabat-Gozo, took the burden upon her. She opened her home to care for babies and very young children. Lourdes Home was born. The Home proved providential in the inter-wars period and after the war it saved many babies and young orphans from certain death. Requests to place children in the home multiplied after the Second World War. Guzeppa could no longer carry the burden by herself. Monsignor Joseph Pace, Bishop of Gozo, could not bear the collapse of the Home and offered his help. A new Home was built through the help of the Gozo Church overlooking the port of Mgarr. The new Home was opened by the Bishop on 24 August 1947. 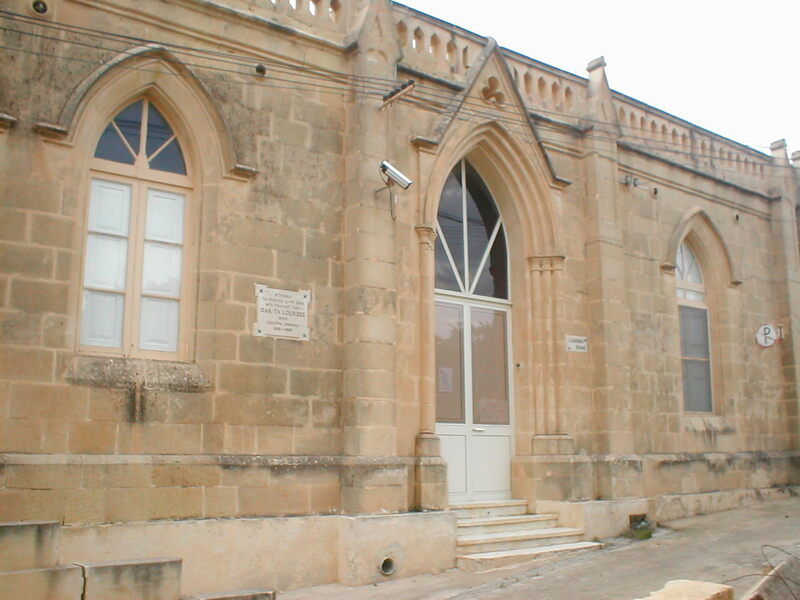 Since then, the Gozo Church has not spared itself to continue to upgrade the Home. In 1956, Guzeppa had become too old to administer the Home. The Bishop decided to pass the direction of the Home to the Dominican Sisters of Malta. These sisters became the mothers of the babies and children that were cared for at the Home. They went through untold off sacrifices to make ends meet – especially to provide food – at a time when the Maltese economy was passing through perturbed times. Since then, about one hundred Dominican sisters have sacrificed several years of their life to care for the increasing number of children that found haven at the Home. In 1968, the Home was enlarged to make it possible to meet all requests for admission. There were usually more than thirty children at a time. It is calculated that, since 1935, over three hundred babies and children has found solace at the Home.